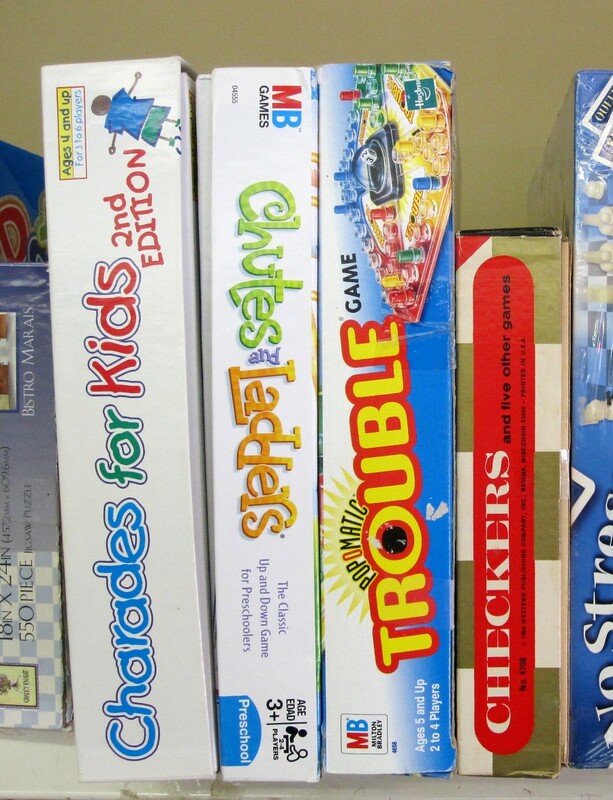 Well, luckily for me we have a very well stocked closet with board games. I’m ashamed to say none had been pulled down in probably seven years!! I had some dusting to do! 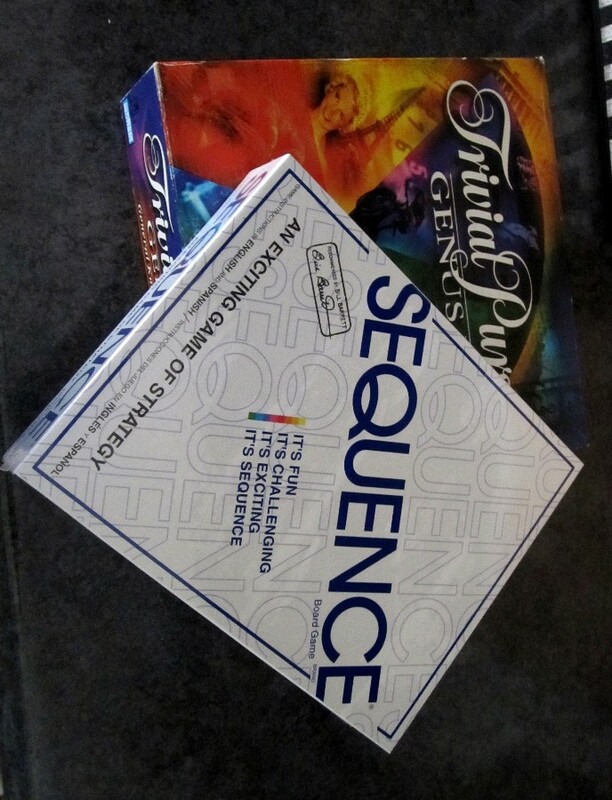 The Trival Pursuit and Sequence games are the newest to our collection. I found this later edition of TP at a consignment store this week. Our family loves playing TP so I thought a later edition would be fun. We were introduced to Sequence by our dear friends. A fun challenge. 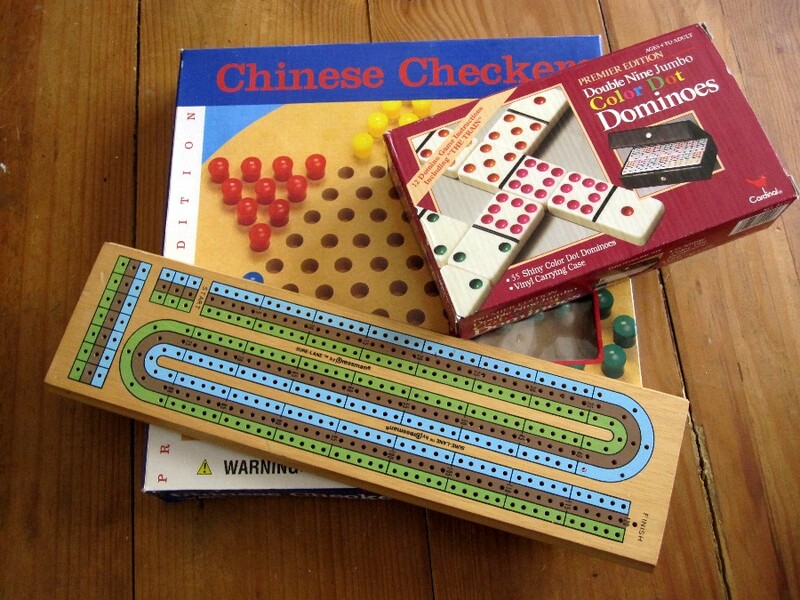 I saw these old time favorites at the consignment store. 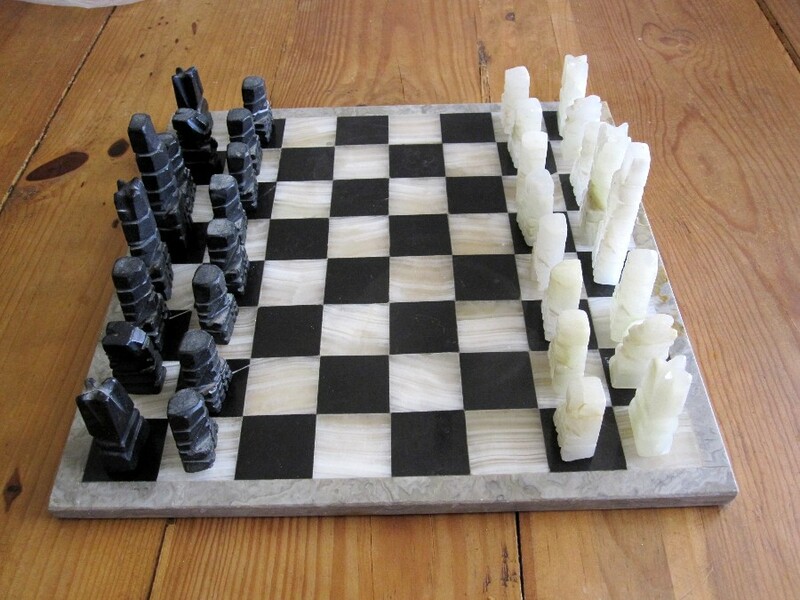 Chuck’s beautiful onyx chess set. And last but not least a couple of the computer games that I play almost daily!! 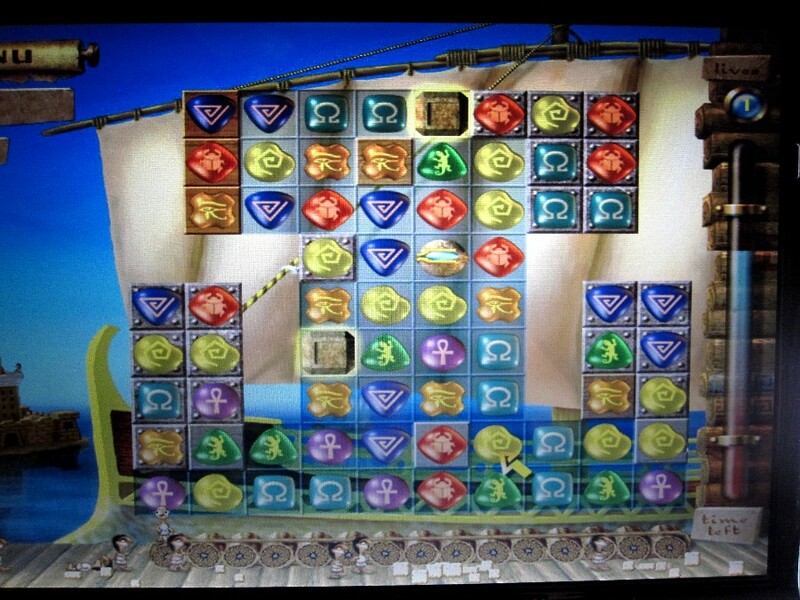 Seven Wonders of the World…..I love this game. This screen is a bugger to get through, keeps throwing me back to the beginning! There are a couple other computer games I like to play as well. This entry was posted on March 17, 2013 at 12:50 pm and is filed under Uncategorized. You can follow any responses to this entry through the RSS 2.0 feed. You can leave a response, or trackback from your own site. Nice ones! I was wishing we had a chess set, because they are so interesting, but alas, we don’t. Goodness you do have a lot of games! So we do, I have to admit, and ours are equally in need of dusting. I Love the chessboard shot. Ace. Don’t know that one…Sequence. 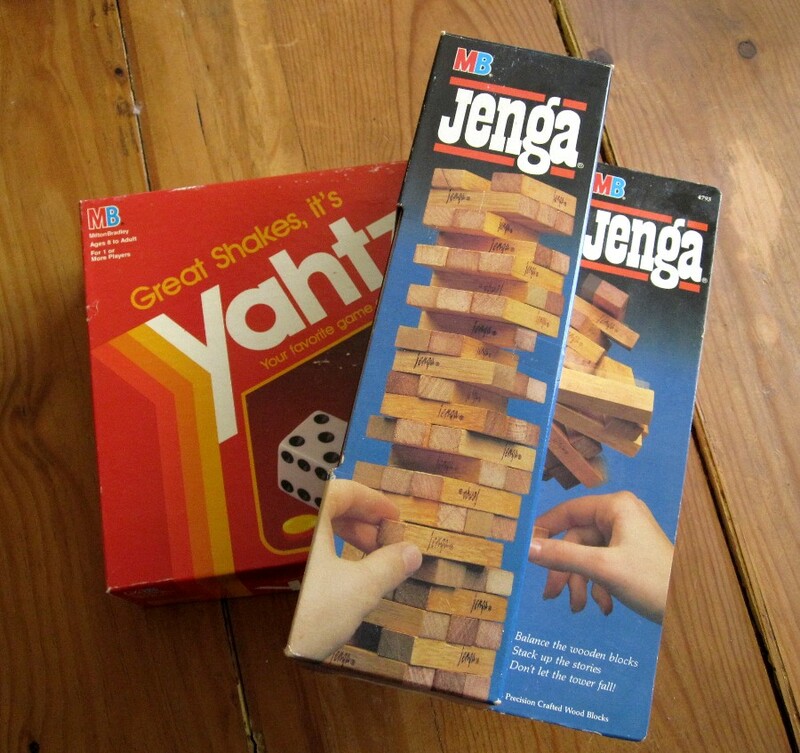 But you’re missing a few of our favorites too…Sorry, and Life, and Monopoly! 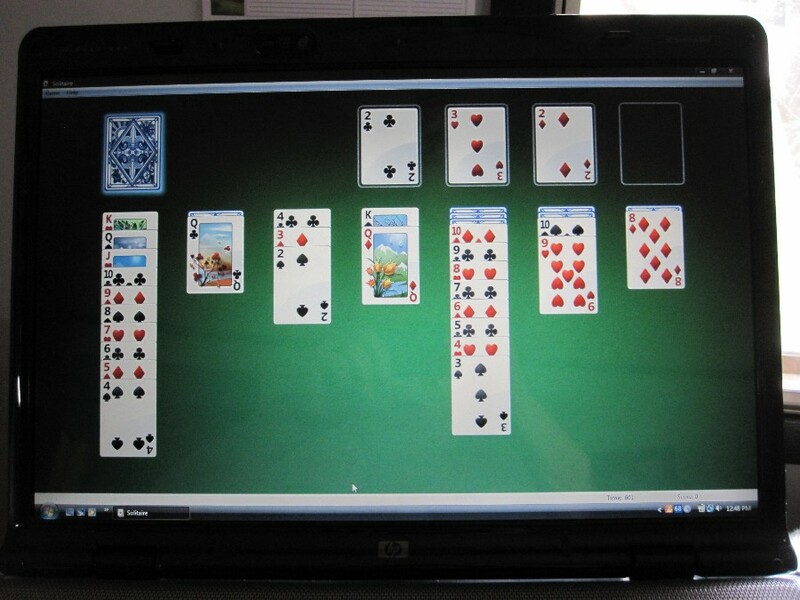 Glad to know computers are good for something besides blogs…tee hee!